The early spring months have always been sweet at Standish and the loveliest memories of my childhood gather round the first long days, when the dreary walks along the muddy roads directly after the midday meal, were replaced by the scramble among hyacinths and ferns, the gathering of primroses and violets and the building of grottoes in the hours of sunset and dusk. In 1884 Beatrice recalled her childhood at Standish House, Gloucestershire, where she was born on 22 January 1858. It was a period of her life about which she had decidedly mixed feelings. Beatrice was the eighth daughter of Richard and Lawrencina Potter. Richard was a businessman, involved in the delivery of prefabricated huts to the army during the Crimean War and in 1849 he joined the board of the Great Western Railway and later the West Midland Railway. He also had interests in railways in North America. His father, Richard Potter, was a wealthy businessman who became a radical, non-conformist MP for Wigan and supported the foundation of the Manchester Guardian. Lawrencina was the daughter of Liverpool merchant, Lawrence Heyworth who was born in Bacup, Lancashire, and built up a successful business trading with South America. Beatrice’s birth was followed in 1862 by the birth of a long awaited son, Richard, and by a ninth daughter, Rosalind in 1864. Richard death in 1864 and her mother’s grief overshadowed Beatrice’s childhood and adolescence. Beatrice Webb had no formal education but Richard Potter encouraged his daughters to read widely. They experienced the London Season and mingled with the family’s friends, including the philosopher Herbert Spencer who advised Beatrice on her reading. When he visited North America on business Richard Potter usually took two of his daughters with him. In 1873 Beatrice joined him on a trip which included visiting New York, Niagara Falls, Chicago and Salt Lake City and began to regularly keep the diary she was to continue until the end of her life. 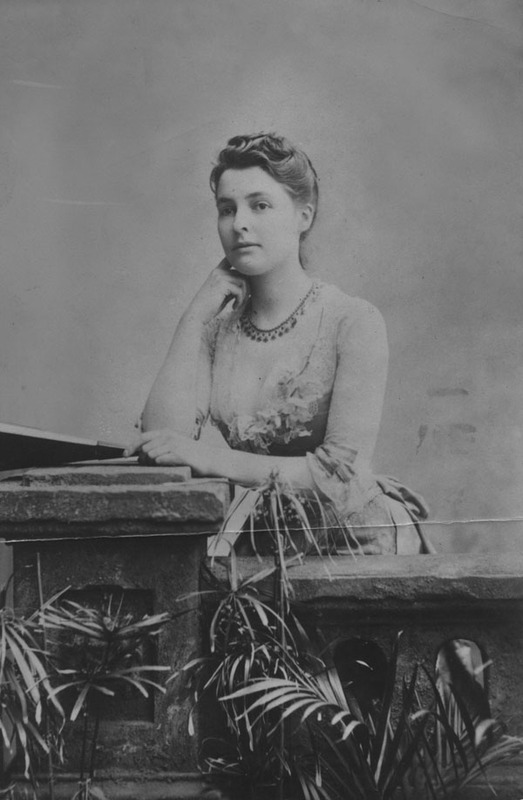 On the death of her mother in 1882 Beatrice Webb as the eldest unmarried daughter undertook the management of the household for the following ten years until her father’s death. At the same time the support of her sisters allowed her to organise four months of the year to undertake her own work beginning her interest in research and social investigation. This included an incognito visit to Bacup to visit her mother’s family, working as a rent collector in Katherine Buildings in the East End and undertaking research for Charles Booth’s Inquiry into London Life and Labour. In 1883 Beatrice became infatuated with the radical politician Joseph Chamberlain, but it was not a match which would have enabled her own work. 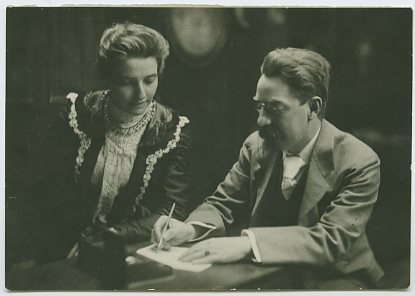 By 1888 Chamberlain had married elsewhere and in January 1890 Beatrice met Sidney Webb and with a courtship of fits and starts began a partnership of over fifty years whose fruits would include the founding of the London School of Economics and Political Science. In old age it is one of the minor satisfactions of life to watch the success of your children, literal children or symbolic. The London School of Economics is undoubtedly our most famous one; ….